It’s springtime in Sonoma County! Time to walk among the wildflowers! Don’t wait to sign up for these wonderful guided walks – they fill up fast! 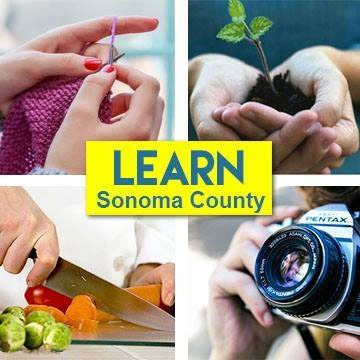 …………..Find festivals, music, theatre, comedy, and more exciting Sonoma County events here! Come learn how to identify plants growing in the shadows of the world’s tallest trees. Paula’s Easy-Paced Hikes: Looking for orchids and other signs of Spring in Trione-Annadel State Park. Join California Naturalist, John Lynch, on a guided nature walk. 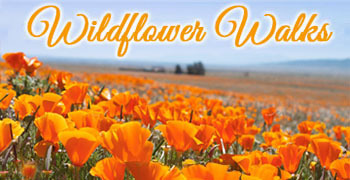 Join Sonoma Ecology Center naturalists for one of the most spectacular wildflower displays in all of Sonoma County. Explore the wilds of this spectacular park—wildflowers, wildlife, and wildfire recovery. Expert guides will take you through vibrant meadows, sharing amazing botanical details. 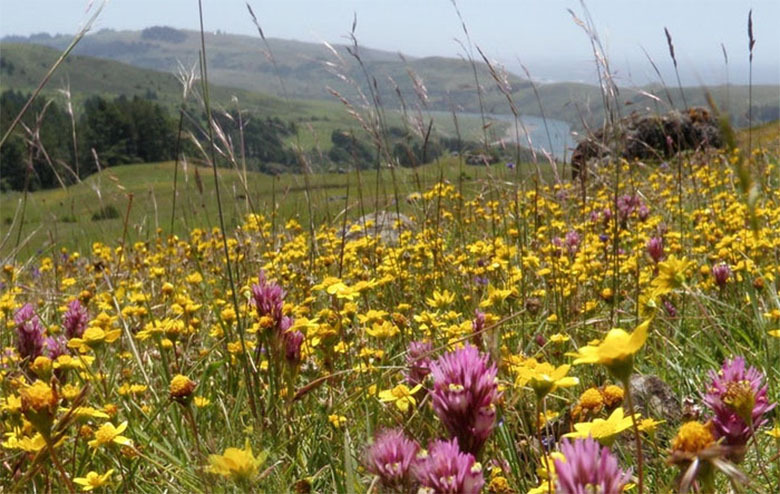 Join us as we discover an array of spring wildflowers blooming along the Sonoma Mountain Ridge Trail. Explore April wildflowers and the park’s rich biodiversity. Enjoy Sugarloaf’s wildflowers, plant ecology and fire-follower exploration with botanist, Peter Warner. Enjoy surprising stories about nature’s blooming treasures as we search for spring wildflowers. Explore edible, medicinal, useful and wondrous wildflowers with other nature enthusiasts. Discover rare, diverse and abundant displays of native wildflowers at this recently opened park! We’ll hike from Shell Beach up to three miles to Blnd Beach. Live like Jack London by treasuring the land while reveling in the beauty of spring. Free guided springtime interpretive walk along the sunny Laguna Trail. We’ll hike from Shell Beach up to three miles to Blind Beach.